Fungiculture in Macrotermitinae evolved 30 Mio. years ago in Sub-Saharan Africa. Fungus farming is accomplished through an intricate mode of substrate incorporation and intensive maintenance of the fungus comb, in which the symbiotic fungus and the associated microbial community reside to degrade the pre-digested plant material. Fungal fruiting bodies are ultimately eaten by the termites to secure insect nutrition. Once the termite colony dies, when comb material deteriorates or is incubated without termites, fruiting bodies of species of the ascomycete genus Pseudoxylaria appear and rapidly overgrow the comb material. While Termitomyces sp. is an obligatory mutualist the termites feed on, the ecological role of Pseudoxylaria sp. 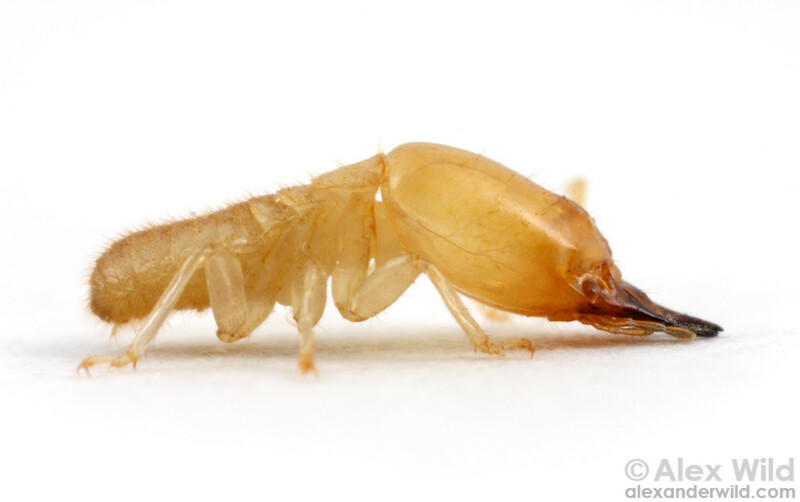 in fungus-growing termite nests is still under debate. Overall, the fungus comb harbors a complex microbial community that is governed by intricate relationships (e.g. synergistic, antagonistic, cheating, co-existing) and only the concerted actions of the community ensure the emergent properties that vary significantly from the combined effects of individual microorganisms. Secreted microbial metabolites mediate the interactions and are considered the “currency and/or language” of the microbial community. Our general scientific activity focuses on the biochemical analysis of the secreted metabolites, which governs the multilateral symbiotic interactions between termites, fungal cultivar, fungal competitors and associated bacteria. In the outlined project, we want to biochemically analyse the defensive role of isolated Actinobacteria and their interaction with the co-evolved garden weed Pseudoxylaria to gain insights how the complex termite-fungus symbiosis has remained sustainable over evolutionary time. We hypothesize that Actinobacteria provide a third line of defence against invading species by secretion of antimicrobial secondary metabolites (in addition to immunity provided by the insects and the mutualist Termitomyces). To investigate the hypothesis, we will analyse the response mechanism of Actinobacteria upon the presence of mutualists or competitors on a genetic and metabolomic level. * a Master’s degree (or equivalent allowing you to pursue a PhD degree) in Natural or Life Sciences (e.g. chemistry, biochemistry, chemical biology etc.). Candidates about to earn their degree are welcome to apply. The three-year Doctoral Researcher position is available starting from January 2018. The position will be financially supported according to TV-L (salary agreement for public service employees). HKI is an equal opportunity employer. The application process is handled exclusively online. Please acquaint yourself with the scientific projects offered on our website. Please note that you can choose up to 3 projects of interest in your application. It is only necessary to fill in the application form for your first preference of projects; the other two projects can be selected in the application form. Successful applicants will be invited to attend a recruitment meeting in Jena (envisaged date: Dec 14-15, 2017).